If you’re looking for the ultimate guide to small market capitalization cryptocurrencies, look no further. In this post, we’ve compiled twenty-five (25) of our favorite small market cap cryptos, along with a project breakdown of each. This post is purely educational and should be utilized as a starting point to research these projects further. Without further ado, below is Part 1 of our 5 part series detailing 5 of the first 25 small market capitalization cryptocurrencies on our list. We hope you enjoy and be sure to let us know your favorite of the below projects, or if you think we missed any. Stay tuned for Part 2 coming soon! Note that the below small market cryptos are not ranked in any particular order and the market caps listed are those at date of publish. If you’re in the market for a privacy coin with more layers than an onion, we strongly recommend checking out DeepOnion; a hybrid cryptocurrency implementing both the x13 Proof of Work (PoW) and PoS algorithm which enables anonymous, secure, and seamless P2P transactions. So, why is it called DeepOnion? Drawing its name from the The Onion Routing Network (TOR), DeepOnion enjoys a worldwide overlay network of 7,000+ relays (by way of onion routing), making for a 100% untraceable and discoverable transaction. Unlike Bitcoin, which has adequately failed to encrypt network traffic and resulted in “packet snooping” to identify user IP addresses, DeepOnion is geared towards borderless and jurisdiction-resistant censorship/ramifications, authorizing obfuscation and security over 4 fundamental layers; the protocol lawyer, application layer, transaction layer, and transport layer. DeepOnion is also in works of implementing their ‘DeepSend’ function, which will sanction users to send and receive untraceable payments via a multi-signature method (to hide the ultimate transaction trace). It also boasts an already implemented information store, ‘DeepVault’, for users to store file validation credentials within the blockchain and verify a file’s integrity over an extended period – an invaluable tool for auditing and checking whether important documents have been tampered with (ex. Think of this as carrying great use for legal and financial documents). 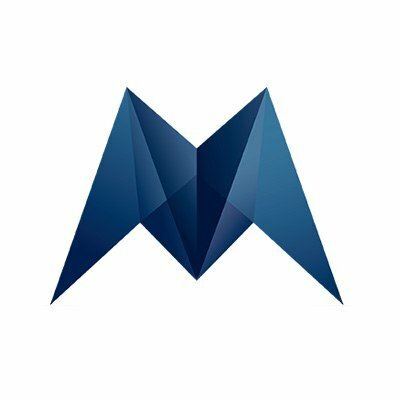 Created and backed by some of supply chain and blockchain’s most formidable titans, Morpheus Network is a global, full-service, automated supply chain management platform utilizing blockchain technology to not only automate the process and serve as a catalyst for a transparent, cohesive, and fluid ecosystem, but secure, forecast, and irradiate supply chain processes across the world. At Morpheus Network’s very core is the deployment of automated (and predetermined) smart work contracts, along with customs and shipping documents to ensure a documented and optimized “papertrail” for multiplex international shipments. Mix in the layering of several other blockchain technologies and projects, such as Waltonchain (for RFID, IoT, & blockchain), and Sia (for decentralized data storage), and Morpheus Network is building more than just a one-off solution to supply chain management – they’re building an entire ecosystem. And, it’s truly global. Morpheus Network incorporates an integrated crypto payment system which spans 1,600+ banks globally, is integrated with SWIFT (for seamless International payments), and is automated by smart contract. Finally, if you’re wondering what separates Morpheus Network from other popular decentralized supply chain projects based on the blockchain, look no further. Morpheus Network is specifically geared towards large-scale money transfers by way of smart contract-enabled, real-world currency conversion payments, spanning over 200 countries and 1,600+ banks. It tackles both sides of the coin, and is designed both importers AND exporters, ultimately doing away with centralized, unsecure, expensive, and slow International bank transfers and wires. Secure messaging system: eliminating unwanted and illicit surveillance of messages through stylized and broken down textual images, data, and information. Esper’s messaging system is intent on enabling users to go far beyond standard text-only limitation and protection. File storage & websites on chain: hosting, maintenance, and storage of websites and files on the blockchain, creating an impassable security layer through the elimination of DDOS attacks. Modular sidechains & cross-chain interfacing: independent sidechains which utilize a cross-chain interface to distribute and share workloads, enabling the tying together of numerous projects (alleviates network bloat and potential network collapse). What is so appealing about hybrid PoW/PoS blockchain projects is that it truly offers the best of both worlds, establishing a harmonious balance between both miners and stakers. Furthermore, its hybrid nature makes it almost completely impossible for a 51% network attack, as it would require malicious hosts and actors to have not only the majority of the PoW hash rate, but the majority of the PoS rate (such would require an unfathomable amount of money). It’s also worth noting that as a PoS project, users can enjoy up to 25% staking returns per year (as last reported). You can read up further on Espers by heading on over to their website and brushing up on their white paper. Generation of P2P and organizational networks of creditworthiness vouching. 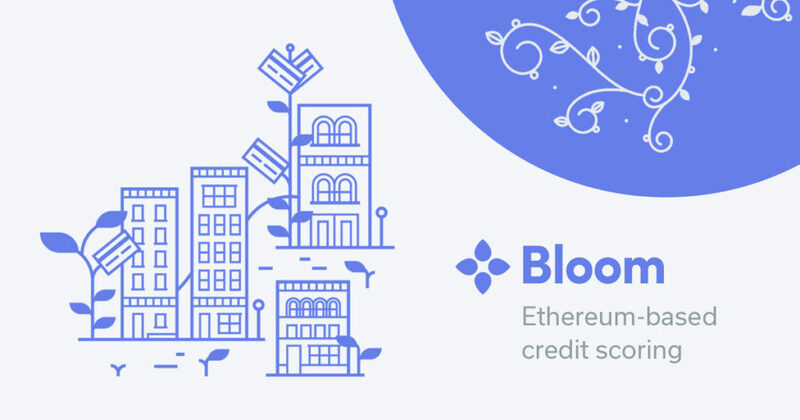 Borderless Credit Scoring: Bloom’s tri-part protocol authorizes an exhaustive and portable credit profile for users, meaning persons no longer need to re-establish credit records when relocating and moving. Creditless Persons: Otherwise creditless and overlooked persons may now quickly receive a credit score and establish creditworthiness through a network of trusted friends and family members. Globally Issued Loans: Persons in less developed countries and markets may now access credit lenders via developed financial and regulatory infrastructure. Identity Theft: Bloom users enjoy a globally secure ID, which refrains from the broadcasting of sensitive personal information (there’s an estimated USD $21 billion lost to identity theft per year). Competitive Credit Scoring Ecosystem: Users are no longer at the mercy of a monolithic, centralized, and one-sided credit scoring organization, leading to decreased cost and a healthy, competitive credit scoring ecosystem. Bloom’s transparent and decentralized tri-part protocol is truly a ‘David’, tackling one major ‘Goliath’ – FICO – which controls 90% of today’s credit scoring industry, and ultimately leaves over 26 million Americans “credit invisible,” and non-existent in the eyes of nationwide credit reporting agencies. With Bloom’s innovative solution to credit risk assessment and allowance of compliant loans on the blockchain, we could finally see a transition towards a more competitive, fairer, and improved credit scoring market. You can read up further about Bloom and how they are overhauling today’s credit scoring industry by putting the “credit invisible” on the map by heading over to their website and reading their white paper. 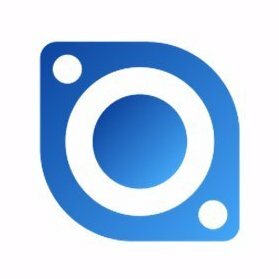 While some might be quick to dismiss UFO Coin because of its name, there’s actually much more than meets the eye. Besides a not-so-subtle ode to our intergalactic friends out there, UFO is a “decentralized peer-to-peer protocol,” sanctioning the safe and secure transfer of value across a global network. What separates Uniform Fiscal Object from other P2P cryptocurrencies is its utilization of Neoscrypt, a next generation Proof-of-Work algorithm, which ultimately authorizes a more efficient and stronger encryption of data through an additional level/layer of network security. Low transaction fees – all qualities ripe for merchant adoption and use, and qualities we originally envisioned in Bitcoin. UFO has proved itself to be more than just a gimmick, with a strong push towards building upon core deficiencies of Bitcoin, and implementation of dynamic transaction fees, overhauled signing security, and faster synchronization. Furthermore, thanks to several past forks, most notable, the CHECKLOCKTIMEVERIFY (CLTV) fork, UFO has eliminated transaction hash malleability, and set the framework for secure payment channels for merchants and customers – making it a viable alternative to otherwise expensive and latent projects dominating the present-day crypto market cap rankings. To read up further on Uniform Fiscal Object, what Neoscrypt is, and a bit about its founders (including Feathercoin founder Peter Bushnell), head on over to their website and check out their white paper. 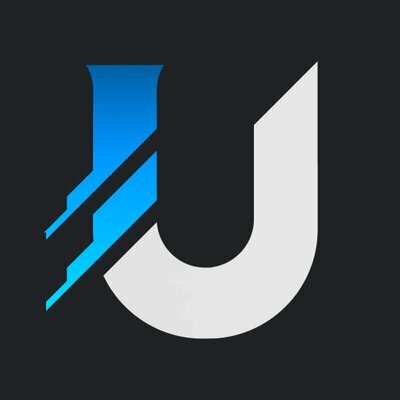 And, if you’re looking to check out various other Neoscrypt projects in the blockchain ecosystem, check out this comprehensive list of Neoscrypt powered coins. And, there you have it, Part 1 of our 5 part series breaking down 25 of our favorite small market cap cryptos out there. Stay tuned for Part 2, coming soon and make sure to let us know in the comments which projects you’d like to see make the list! In Part 2, we tackle small market cap cryptos ranging from blockchain-based platforms for enterprise, to Southeast Asia’s first retail electricity marketplace, all the way to a project incorporating IoT “environment condition” sensors to monitor and verify pharmaceutical shipments. Can you guess which projects are up next? 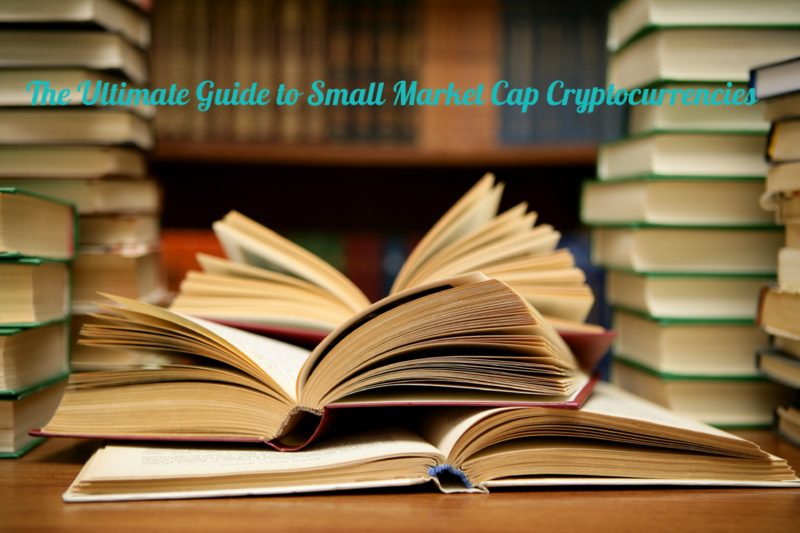 You can find Part 2 of our Ultimate Guide to Small Market Cap Cryptocurrencies here.